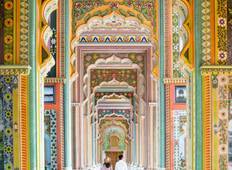 Discover a varied offer of budget sightseeing tours that will take you through some of the most renowned destinations such as New Delhi and Agra. Each affordable tour will provide you with memorable moments for some of the lowest prices on the market. "In the least possible time we were able to see tons of interesting things. 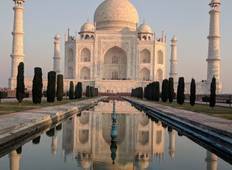 Taj mahal,..."
"Fantastic itinerary, good hotels, good driver, knowledgeable guides. Breakfast was..."
"It was wonderful trip organized by Yoganshi Travel. Hotel, meal and provided guide..."
"Superb and enjoyable trip...Thanks to yoganshi travel for making our wonderful and..."
"I would like to thanks ITS Holidays team, who orgnaize our Golden Triangle Tour...."
"Prior to the trip it was advertised to cater for vegans so I put that I was vegan,..."
Glimpses of the Golden Triangle Tour of India. "Fantastic Tour in the least possible time. we did taj mahal and fort palaces of Jaipur..."
"The driver Ram Kumar and the guide Mr Prevesh made our trip excellent. We both warmly..."
"We traveled in October 2018 and Yoganshi Travel planned our itinerary. I was with..."
"Thanks to Yoganshi Travel for organized an excellent trip. Accommodation and meal..."
"This was truely an amazing experience for us. Our tour was for 2 and half weeks...."